On Monday this week The Age carried a story headlined Freelancer: Australia’s fallen tech star. Age journalist John McDuling briefly lays out the Freelancer story from its well-publicised listing on the ASX in early 2013, its brief moment as a $1 billion capitalised company and the sober reality of its record low share price of 46 cents last week (valuing the company at just over $210 million). As McDuling notes, the very real problem for Freelancer and its high profile CEO, Matt Barrie is that the expected Freelancer revenue and profit growth have both failed to materialise. Early in 2012 Barrie was quoted as projecting a full year’s gross profit of $10-$13 million. The actual figure was just over $10 million. The bold prediction of doubling of gross profit every year looks like hyperbole when contrasted with the reality of the five year period since 2012. 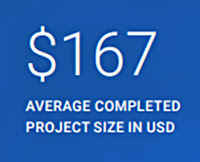 In this period Freelancer’s gross profit has only risen to just under $50 million (had gross profit doubled every year since 2012, it would now top $400 million) with small operating losses being racked each year for the last three years, with this year (after the release of the first six months’ financial data) looking no different. Maybe Wikipedia’s entry on this topic provides some insight into the dilemma facing Freelancer’s growth prospects. Feedback from members suggests that web portals such as Freelancer.com tend to attract low paying clients that, although demanding very high standards, pay ~$10 per hour or less. Low-cost suppliers frequently offer to work at rates as low as $1–$2 per hour. Because most projects require bidding, professionals will not bid because they refuse to work at such rates. This has the effect of reducing the overall quality of the services provided. There’s certainly no imminent crisis at Freelancer with $34 million cash in the bank. From a cursory review of Freelancer’s accounts, it appears that the company is generally well managed with costs being controlled contributing to operating losses gradually being reduced over the past four years. The major problem is one of expectation. Matt Barrie has been Freelancer’s greatest asset in the PR stakes of tech companies. He has been consistently profiled and quoted in both mainstream and specialist media. Unfortunately Freelancer’s financial performance has not aligned to his profile and predictions. The Freelancer 2016 Annual report is a showcase of visual splendour. There are initiatives, graphs, photos, stats, case studies, personal testimonials and awards, all displayed in dazzling colour; across 30 of the first 35 pages. However, having “Australia’s biggest Start Up and Growth Conference. Sold Out 6 years in a row” or “1 million + downloads of the Android app” or “23.3 million total users (31% growth rate from 2015)” or “10.6 million total jobs posted (53% growth rate from 2015)” or “500k messages sent per day” or winning “23 awards”, doesn’t automatically translate into sales or profit growth, as Freelancer shareholders are very painfully aware. Freelancer has also faced increased competition from cashed up new entrants into the market including Upwork (oDesk & Elance), Airtasker, Fiverr and Workana (Latin America). Earlier this week, Airtasker raised $33 million from investors including Seven West Media to increase market share in Australia and launch into the UK. What most readers would be unaware of is how a number of these competitors are related to SEEK. Paul Bassat’s Square Peg Capital was part of Fiverr’s $60m capital raising in Nov 2015 and SEEK was part of Workana’s $2m capital raising in Jan 2016 SEEK and its major shareholders clearly like what they see in these new marketplaces and are prepared to put their money where their mouth is. Just as the massive success, twenty years ago, of ASX-listed Morgan & Banks Ltd created a level of market expectation that almost all other listed Australian recruitment agencies failed to live up to so too has the massive success of Amazon, Facebook and Google created a level of expectation that is daunting for any tech stock. Embattled recruitment marketplace Search Party is seeking to delist from the ASX. Among the main reasons for delisting is that the strategic review announced in April might lead to “confirmation that the fundamental premises of the product model are uneconomic “, if the product and service offering cannot be revamped, company secretary Patrick Raper said in a statement. (my bold). In other words; The Search Party can’t sell its product for a commercially viable price. Might this problem be in evidence elsewhere across the recruitment technology space? Gooroo, a company “building an online marketplace that directly connects employers with the world’s tech talent(initially Microsoft-certified candidates), making it easier for hirers to identify prospective candidates for a job vacancy”listed on the ASX (Gooroo Ventures Limited) on 19 October 2016 at 27 cents, a significant premium on the prospectus offer of 20 cents (raising a total of $4 million from the IPO). In May this year Gooroo excitedly announced that its trial had ‘smashed’ its target with 8,500 candidates having been matched to 420 open roles. However it was a free trial; only $1000 was booked as revenue and cash in the bank was down to $2.9 million. In June this year Gooroo won the The Big Data/Machine Learning Innovation of the Year award at the Australian Information Industry Association (AIIA) Victoria iAwards for innovation in the digital economy. In the past few months, Gooroo have announced deals with Kinetic IT, KPMG and Halcyon Knights. Although these are not insignificant companies none of the three official announcements mention a minimum financial commitment; the agreement only turns into significant money if the counter-party makes it work commercially with, or for, their clients. At this early stage it’s all blue sky revenue with very little, if anything, in the bank right now as a result of these three agreements. This is a big problem for Gooroo because at their current rate of cash burn, barring any additional capital injections, they have about 12 months left to make their business financially viable. Earlier this week GVL shares were trading at 10 cents. In early 2017 the Company initiated a telephone sales campaign with the objective to offer a free trial access to the Gooroo hiring and matching technology. A third party telemarketing company based in Melbourne was engaged to conduct the trial outreach program. The collapse of the company, coupled with limited commercial returns delivered from this ‘free trial’ campaign directed management to refocus attention in Australia and to focus on mid-to-upper tier enterprises. This decision included a delay to plans to employ sales resources in the USA. This reveals that Gooroo have not worked out how to reliably, or profitably, present their product to a large pool of potential customers. In my view this is absolutely damning information and is a very large pointer to a massive problem that Gooroo must solve before their cash runs out. Gooroo board members and executives appear to be oblivious to the wisdom contained in, legendary Silicon Valley venture capitalist Peter Thiel’s classic book on investing in startups. If you’ve invented something new but you haven’t invented an effective way to sell it, you have a bad business – no matter how good the product. Superior sales and distribution by itself can create a monopoly, even with no product differentiation. The converse is not true. No matter how strong your product – even if it easily fits into established habits and anybody who tries it likes it immediately – you must still support it with a strong distribution plan. Theil goes on to articulate what he calls the “distribution doldrums” which is the phrase he uses for the “hidden bottleneck” of distribution that afflicts many mid-priced products or services. In essence, Thiel asserts that the product’s margin isn’t large enough or the potential volume isn’t high enough (at least initially) to employ a substantial personal sales force nor is the product, or its accompanying marketing campaign, sufficiently compelling to generate viral sales. As Thiel concludes “Most businesses get zero distribution channels to work: poor sales rather than a bad product is the most common cause of failure”. ii) Winning awards from panels of judges, or votes of the public, neither of whom significantly represent the target potential customer for the product. The focus should have been on rigorously testing the product’s distribution model to ensure its commercial viability. In a recent Investor Presentation, Nvoi included the following comments about the recruitment industry: “Current landscape is inefficient … and large”, “Traditional recruitment process is painful, slow, inefficient, expensive, and lacks transparency”. Hmm, that sounds familiar, doesn’t it? So far Nvoi has spent $4.2 million to generate $4k. Hmm, that sounds familiar, doesn’t it? 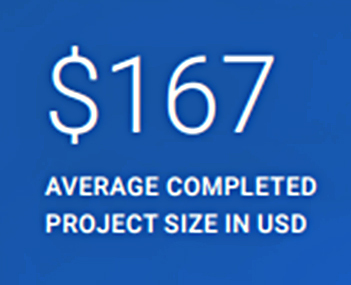 Wow, you have to transact a lot of projects at $167 average project value to make the sort of money tech investors are looking for.Maybe old-fashioned recruitment agencies aren’t dead after all. We may not deliver steak all the time but at least we don’t pretend to sizzle. And we make real money. Two sided marketplaces are incredibly difficult and can take years to build traction. I would be interested to see how these publicly listed tech companies compare to privately funded ones.